Longtime Clinton confidant Lanny Davis and Howard Wolfson, Hillary Clinton's former communications director, once anticipated being very busy at this week's Democratic National Convention. They never envisioned going to Denver while working for Fox News Channel. Davis and Wolfson will be on television commenting on the convention Monday instead of working behind the scenes to shape it. They have also put themselves into the middle of a simmering civil war among Democrats over how to deal with a network many see as hostile to their cause. Both men see their punditry positions as something like missionary work, and argue that it makes little sense for Democrats not to engage with Fox News Channel viewers, even those they know oppose them. For Fox, having both men in the fold helps blunt the impact of a campaign that built momentum when Democrats wouldn't agree to participate in debates on Fox during the nomination campaign. Davis and Wolfson came to Fox this summer following bad experiences with rival networks, although they both declined to discuss them. 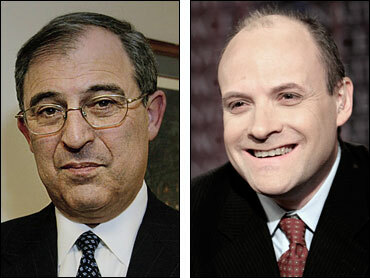 Wolfson and Clinton's inner circle resented MSNBC, believing the network's top talkers favored Barack Obama's candidacy. Davis, a former special counsel to President Clinton, looked like he swallowed a lemon during his last primary-night guest appearance on CNN. Wolfson said Fox's Democratic primary coverage was fair, "and I appreciated that." With the exception of one contentious appearance on "Fox & Friends" that he smoothed over offstage, Davis said he had always been treated fairly and with respect on Fox. They've each appeared about two dozen times on various Fox News programs since joining as contributors. Another thing they shared: grief from fellow Democrats when they signed with Fox. "Less than I expected, but still some," Davis said. "The some were from the places that have a stereotype about Fox, but when I asked them if they ever actually watched Fox, the answer is almost never." "My sense is that there is a recognition that we can't ignore or give the back of our hand to the largest audience in cable television (news)," he said. Fox remains the most-watched network in cable news, although excitement over the Democratic primary campaign - and comparatively less excitement over the Republicans' - has helped CNN and MSNBC make the competition tighter. Fox is clearly the network of choice for Republican viewers, although its audience is less homogeneous than many expect. A Pew Research Center study released this month found that 39 percent of regular Fox News Channel viewers identify themselves as Republicans, while 33 percent say they're Democrats and 22 percent say they're independent. By contrast, more regular CNN viewers identify themselves as Democrats (51 percent to 18 percent Republican). MSNBC is 45 to 18 percent Democratic. Based on his e-mails, Davis said that many of the people who see him on Fox are "persuadable voters," willing to seriously consider a liberal point of view. "Are they Democrats?" Robert Greenwald said, only half-jokingly, about Davis and Wolfson. The filmmaker makes "Fox Attacks" videos critical of the network and is one of the most prominent activists in a campaign to persuade liberals to stay away from Fox. "They have nothing to do with a progressive point of view," Greenwald said. "I don't think you would find anybody in the progressive movement who would say, 'Yes, they are spokesmen for what we believe in.'" Their association with Clinton would already make Barack Obama supporters suspicious of them. The anti-Fox Web site News Hounds has already said Wolfson "is a disaster at standing up for Democrats - that must be why Fox hired him." The Web site dissected a Wolfson appearance alongside Bush campaign architect Karl Rove, saying Wolfson essentially let Rove attacks on Obama go unanswered. Davis authored an article saying that he had been wrong about the Iraq surge and that it worked - letting Fox bring him on to question why Obama wasn't saying the same thing. Greenwald said Fox is less interested in a genuine debate than in having someone to state positions they can easily shout down. "Without liberals and progressives to yell at, without liberal positions to make fun of, Fox doesn't exist," he said. Davis and Wolfson said they did not see that as their role, and that they believe their opinions are being sought sincerely. "People who know me know that I'm not a shrinking violet," Wolfson said. "I didn't sign up to be the guy who plays the Harlem Globetrotters." Davis said he disagreed with Hillary Clinton when she supported the movement not to give Fox a Democratic debate. He said he believed the anti-Fox effort represents a small, although vocal, wing of the party that believe in vitriol and demonization instead of a serious discussion of issues. If he were advising Obama, he'd suggest the presumptive Democratic nominee appear on Fox News Channel as much as possible during the campaign. "You have two choices when you're in politics," Davis said. "You can walk into a room where everybody agrees with you, give a talk and everyone applauds you so you leave the room thinking you've accomplished something. Or you can go into a room filled with people who either haven't made their minds up or disagree with you and try to open some minds. "Being on Fox is like going into the second room," he said.